There are times when I want to disappear into someone else's life, stepping away from the "real-life" around me. 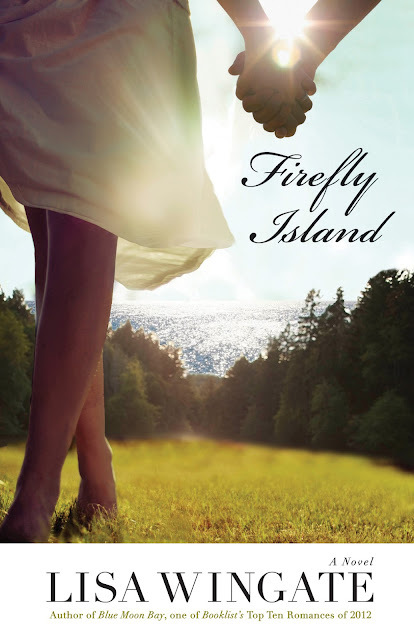 Lisa Wingate's tales set in Moses Lake have provided just such an escape in the past and her new novel Firefly Island took me down a familiar road. Mallory Hale's life quickly veers off course when she falls hopelessly in love. After a whirlwind romance, Mallory finds herself leaving the bustle and action of Capitol Hill for the remote town of Moses Lake, Texas--with husband, stepson, and a U-Haul in tow. A sweet, mishap-filled journey into marriage, motherhood, and ranch living ensues, and Mallory is filled with both the wonderment of love and the insecurities of change. This is not however just a sweet little romance. There is mystery and intrigue that kept me turning pages long after I should have been sleeping. If you have journeyed with Wingate to Moses Lake in the past you'll want to read this addition to the series. If you haven't yet stepped foot in Moses Lake Firefly Island is a great place to start. I received a complimentary copy of this book from Bethany House a division of Baker Publishing Group. The opinions I have shared are my own.